It was made by a special friend of Joe Robison back in late 69 early 70's (I believe) and hung inside the dealership ever since. 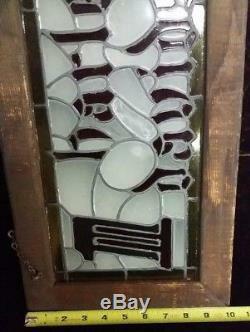 It has a wooden frame around it, the glass has some slight color and a brighter yellow strip around it- see in the pictures. In 1964 we moved to our current location. You will not find another item with this kind of history very often. 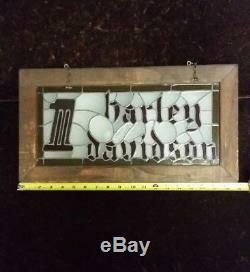 This is not a Harley made item- it was a gift to our dealership exclusively. Please feel free to ask any questions and good luck! 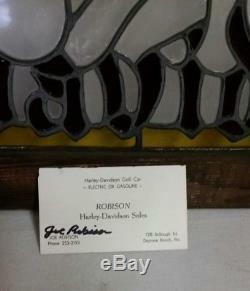 The item "RARE ONE OF A KIND Robison Harley Davidson AMF dealership sign from 1962 to 1993" is in sale since Friday, April 6, 2018. 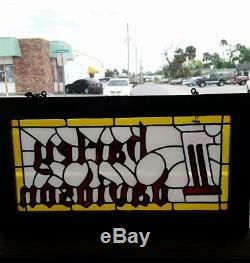 This item is in the category "Collectibles\Transportation\Motorcycles\American\Harley-Davidson\Stickers & Decals". 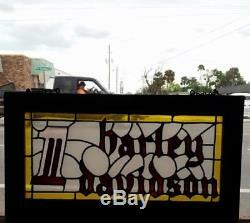 The seller is "robisonmotorcycles" and is located in Daytona Beach, Florida. This item can be shipped worldwide.